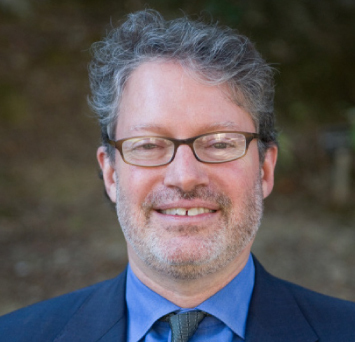 Marc Freedman, founder and CEO of Encore.org, is an award-winning social innovator, thought leader and author – one of the nation’s leading experts on the longevity revolution and the transformation of retirement. A Visiting Scholar at Stanford University during 2014-15 and formerly a Visiting Fellow at King’s College, University of London, Freedman is a member of the Wall Street Journal’s “Experts” panel and a frequent contributor to the Harvard Business Review and other outlets. Freedman is also the author of four books, including The Big Shift: Navigating the New Stage Beyond Midlife. He is regularly called upon as a media source and public speaker. Marc’s numerous accolades include recognition as a 2015 Legend in Mentoring (by Mentoring.org) and a 2015 Influencer in Aging (by PBS’ Next Avenue.org). He was also named 2014 Social Entrepreneur of the Year by the World Economic Forum and the Schwab Foundation. He is the recipient of the 2010 Skoll Award for Social Entrepreneurship and an Ashoka Senior Fellowship. Fast Company magazine named him as one of the nation’s leading social entrepreneurs three years in a row. Originator of the “encore career” idea, Freedman played a central role in establishing Experience Corps – now AARP Experience Corps – mobilizing thousands of individuals over 50 as reading tutors and mentors for low-income elementary school students in 22 U.S. cities. He also spearheaded the creation of The Purpose Prize®, an annual cash prize for social entrepreneurs in the second half of life; and the Encore Fellows program, a one-year fellowship helping individuals translate their midlife skills into second acts focused on social impact. A high honors graduate of Swarthmore College, Freedman holds an M.B.A. from the Yale School of Management. He resides in the San Francisco Bay area with his wife, Leslie Gray, and their three boys.